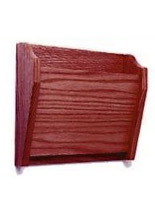 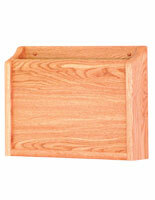 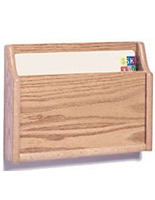 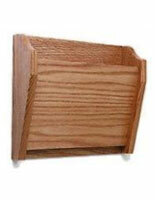 This wooden business leaflet rack holds confidential material in an accessible but private fashion. 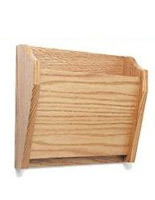 Great for medical or other professional offices, staff members have what they need at their disposal with this hanging brochure mount. 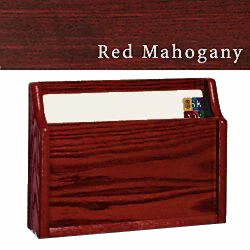 This wooden business leaflet rack, such as a literature holders system, is made of red mahogany, which makes a beautiful statement! 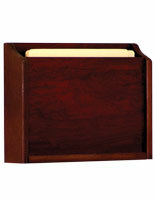 This product when in stock, is available with same-day shipping when ordered by 1 p.m. EST! 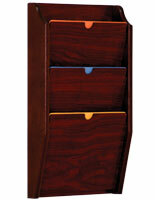 This wooden business leaflet rack that is a magazine displays system stores a 1-1/4" stack of documents!